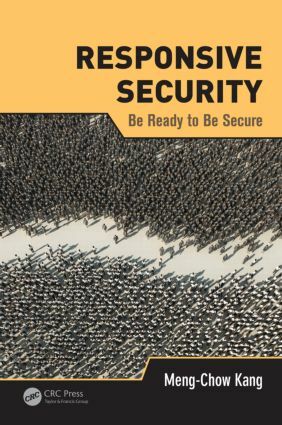 Responsive Security: Be Ready to Be Secure explores the challenges, issues, and dilemmas of managing information security risk, and introduces an approach for addressing concerns from both a practitioner and organizational management standpoint. Utilizing a research study generated from nearly a decade of action research and real-time experience, this book introduces the issues and dilemmas that fueled the study, discusses its key findings, and provides practical methods for managing information security risks. It presents the principles and methods of the responsive security approach, developed from the findings of the study, and details the research that led to the development of the approach. The author reviews existing literature that synthesizes current knowledge, supports the need for, and highlights the significance of the responsive security approach. He also highlights the concepts, strategies, and programs commonly used to achieve information security in organizations. Responsive Security: Be Ready to Be Secure examines the theories and knowledge in current literature, as well as the practices, related issues, and dilemmas experienced during the study. It discusses the reflexive analysis and interpretation involved in the final research cycles, and validates and refines the concepts, framework, and methodology of a responsive security approach for managing information security risk in a constantly changing risk environment.